Art with Mrs. Nienhouse: Getting ready for a new year! As I was preparing for the new school year I found a picture on the good ol' internet that made me chuckle. Thank you www.fatcatart.com for making my day! 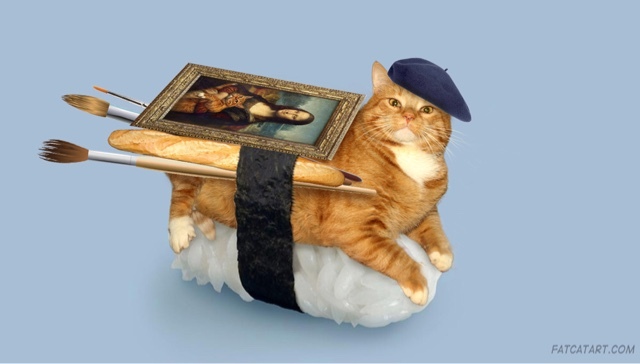 All the things I love... Sushi, kitties, France (baguettes and berets hehe) and painting. Little known fact about me is that I was born in France and I have duel citizenship!